Alleged Nazi Labor Camp Guard Deported To Germany The White House says that Jakiw Palij was a guard at a Nazi labor camp in occupied Poland and that he lied about his past when he immigrated to the U.S. For years, no country would accept him. Palij has denied that he worked at a camp and has said he served as a Nazi guard only because his family was threatened. Peter Black, who worked for the Department of Justice and as a historian at the United States Holocaust Memorial Museum, served as an expert witness in Palij's case. The museum confirms that Palij was a guard at the Trawniki labor camp in Nazi-occupied Poland and that he was among those who provided the manpower to "Operation Reinhard," the plan to kill 2 million Jews living in Poland. Black tells NPR that he first discovered Palij's name at an archive in Prague, which opened to Western researchers after Czechoslovakia's Velvet Revolution. He and a colleague, Elizabeth Black, were poring over those records when they found lists of names with military IDs. "We recognized right away that this was the unit that operated after the Germans withdrew from Trawniki," Black says. "We could tell that the men listed in these records were Trawniki trained guards ... and on all three sets of the rosters, Jakiw Palij's name appears." Palij admitted to officials that he was trained at an SS training camp in Trawniki, which was next to the labor camp, in the spring of 1943, according to court documents. But the documents didn't say what he did after his training. "There's a big gap in the historical record," Eli Rosenbaum, former director of the Department of Justice's Office of Special Investigations, tells NPR. And Palij wasn't talking: "Mr. Palij took the Fifth Amendment and would not cooperate in the search for truth in his case." So Black and other historians focused on what happened during training at Trawniki. They demonstrated that recruits such as Palij were routinely ordered to take shifts guarding the forced labor camp next door. They were armed and told to shoot anyone who attempted to escape, Black says. On Nov. 3, 1943, approximately 6,000 Jewish prisoners at that camp — men, women and children — were shot to death in a single day. The Justice Department wrote in a statement that it was "one of the largest single massacres of the Holocaust." "By helping to prevent the escape of these prisoners during his service at Trawniki, Palij played an indispensable role in ensuring that they later met their tragic fate at the hands of the Nazis," the department wrote. When Palij immigrated to the U.S. in 1949, he told officials he had spent the war working on farms and in a factory. 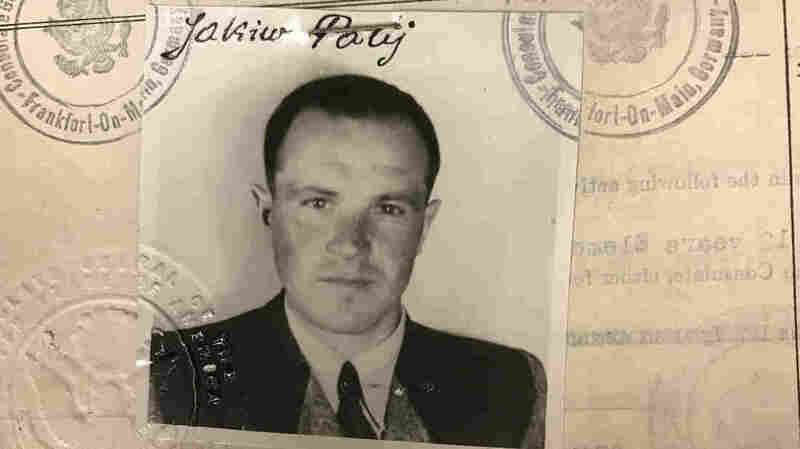 The U.S. cannot criminally prosecute World War II crimes that were carried out overseas, but Palij was held responsible for lying on his immigration paperwork. His name appeared on multiple SS rosters, and an acquaintance recalled seeing him among the Trawniki recruits. There was no "direct evidence" that he guarded the Jewish labor camp but it was sufficient to demonstrate that so was among the duties of guards at Trawniki, a judge concluded — especially since Palij did not present any specific argument or evidence suggesting he was innocent. But after Palij was ordered to be deported, no country agreed to take him in. "This is a very common problem," Rosenbaum told NPR. "We have been working hard to persuade governments in Europe to relent ever since the late '70s. And one of the tragic consequences of that refusal is that nine Nazi perpetrators ... died here [in the U.S.], all between 2005 and 2015." Palij seemed confident he'd have the same fate. When he spoke to the Times in 2003, he said, "What will they do? Shoot me? Put me in the electric chair?" he asked. "Where are they going to deport me to? What country is going to take an 80-year-old man in poor health?" While the U.S. government put pressure on European governments, Palij "continued living in limbo in the two-story, red brick home in Queens he shared with his wife, Maria," the AP writes. Palij's wife has since died, according to U.S. officials. "His continued presence there outraged the Jewish community, attracting frequent protests over the years that featured such chants as 'your neighbor is a Nazi!' "
For years, students at Rambam Mesivta, a Jewish high school on Long Island, held protests outside Palij's house. Rosenbaum said Tuesday that the protests by those high school students "helped ensure that the public never forgot this case." Last year, some members of Congress from New York wrote to then-Secretary of State Rex Tillerson to ask for his "personal intervention" to push for Palij's deportation. Palij landed in Dusseldorf early Tuesday. He has been taken to a home for the elderly in Germany, according to Reuters.